Karen Bradshaw, Settling for Natural Resource Damages, 40 Harv. Envtl. L. Rev. 211 (2016). James W. Coleman, How Cheap Is Corporate Talk? Comparing Companies’ Comments on Regulations with Their Securities Disclosures, 40 Harv. Envtl. L. Rev. 48 (2016). That was in 1984. 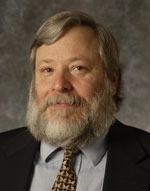 A lot has changed since then, partly because of pioneering work by Ellickson himself.1 Since 2012, more than 500 law review articles have included the word “empirical” in their titles, and probably hundreds more – including every item in the most recent issue of the Journal of Empirical Legal Studies – report or analyze empirical data without titular advertisement. Many of these papers feature linear regressions or other complex statistical analyses aiming to tease out relationships between variables. Yet there remains much value in research that simply but rigorously informs us of what actually happens in the real world. Understanding environmental law, like understanding the environment, begins with observing. This Jot acknowledges the contributions of two recent articles that help us see. Karen Bradshaw’s Settling for Natural Resource Damages explores a component of environmental law practice that, she persuasively argues, has received too little scholarly attention. Regardless of whether she correctly identifies the predominance of settlement as the reason for scholars’ indifference, she is unquestionably correct to observe that claims by governmental trustee agencies for natural resource damages (NRDs) – like most civil litigation – almost always settle. But how often? For what types of claims? For how much? These are the questions Bradshaw asks. To find answers, Bradshaw takes the simplest approach imaginable. She asks the people who know. Through Freedom of Information Act requests, Bradshaw sets out to determine the number of NRD claims each federal trustee agency has settled under its particular legal authorities, the aggregate amount of damages those settlements recovered, and the distribution of recovery amounts. She acknowledges that the quality of her data is limited by the inconsistent and uncertain quality of agency responses to her information requests. Nevertheless, the data in Settling for Natural Resource Damages appear to paint a reasonably robust picture of most types of NRD settlements by federal agencies. To her credit, Brashaw defines NRD claims broadly. She includes liability to federal land management agencies for damaging the resources they manage as well as the better-known NRD liability for hazardous substance and oil spills provided by the Comprehensive Environmental Response, Compensation and Liability Act (CERCLA) and the Oil Pollution Act (OPA, together with predecessor provisions of the Clean Water Act). As Bradshaw points out, the limited literature on NRD liability has focused almost entirely on CERCLA and OPA. The results of Bradshaw’s inquiry, however, seem to vindicate earlier scholars’ emphasis. Federal agencies have settled more than 300 claims for damage to resources in national park units and national marine sanctuaries. These claims account for nearly half of the settlements in Bradshaw’s data set, but the reported combined value of those settlements is less than one percent of the total for all NRD settlements. The other ninety-nine percent came in settlements under CERCLA, OPA and the Clean Water Act. Even excluding the outsize settlements of NRD claims related to the Deepwater Horizon blowout ($8.1 billion) and the Exxon Valdez grounding ($900 million), Bradshaw reports, the cumulative nominal value of federal NRD settlements under CERCLA, OPA and the Clean Water Act is nearly $1.4 billion. All that money is supposed to compensate the public for injury to, loss of, or destruction of natural resources, and is supposed to be used only to restore, replace, or acquire the equivalent of the resources harmed. How well have agencies’ settlement practices served the goal of obtaining appropriate levels of compensation? How successful have the federal trustees’ resource restoration efforts been? Should the tort-like NRD liability provisions of these statutes be emulated in addressing other environmental problems? How does the performance of non-federal trustees – which, as Bradshaw notes, includes some settlements that were subjected to withering criticism – compare to the performance of the federal trustees? These are urgent questions. Settling for Natural Resource Damages makes no attempt to answer them, but invites efforts to do so. Bradshaw’s call for further research is well taken, in light of the scale of NRD settlements that she documents. That in itself is a significant contribution. In the world of NRD settlements, observing what’s going on out there is the first step in understanding what’s really going on out there. James W. Coleman’s How Cheap Is Corporate Talk? observes a different aspect of environmental law practice. Coleman addresses the “regulator’s dilemma”: agencies must identify technically and economically feasible ways to meet statutory environmental goals, but their main source of information about technology and costs is the industry to be regulated – when the industry has obvious incentives to portray any regulation as infeasible and expensive. Coleman argues that one way to test the claims an industry makes to a regulator is by comparing them to what the industry tells its investors about the same regulatory risks – when the industry has obvious incentives to portray any potential regulation as no big deal. An industry’s “two-audience problem,” Coleman contends, can ease the regulator’s dilemma. As Coleman acknowledges, it is hardly news that companies and trade associations facing potential environmental regulations (as well as many other actors in many contexts) talk out of both sides of their mouths depending on their audience. But Coleman strives to go beyond anecdote. He attempts a rigorous analysis to demonstrate this phenomenon in operation in a way that might be helpful to regulators, to investors, and to corporate counsel who give advice about statements made to both regulators and investors. For his project, Coleman mines statements about a cleverly-selected instance of environmental regulation: EPA’s annual efforts to promulgate a Renewable Fuel Standard pursuant to the Energy Independence and Security Act of 2017. This rulemaking and statute, which underlie the notices at gas pumps that ethanol has been blended into the fuel, suit Coleman’s purpose for several reasons. The statute’s requirement for annual revisions to the Standard generates recurrent opportunities for affected industries to state clear views about the impact of proposed and final regulations in documents that are easily paired – comments submitted to EPA during the rulemaking process and Form 10-K disclosures released to investors. The number of affected companies is small enough for thorough review of the documents yet large enough to provide results amenable to statistical analysis. Perhaps most usefully, implementation of the Standard affects different industries differently. Increasing the market share of ethanol and other biofuels threatens the profits of petroleum refiners and allies but offers growth opportunities for agricultural producers and allies. Thus Coleman could observe, by reviewing more than 10,000 pages of documents, the way industries with opposing interests depicted the effects of the same rule in statements to both regulators and investors. How, though, can the comparison be made? Simply counting contradictions will not do, for as Coleman understands, “[m]ost actors facing a two-audience problem are smart enough to avoid direct factual contradictions.” (P. 66). Instead, Coleman codes the substance of individual statements about the Standard’s impact. Essentially, he counts the number of arguments about the standard that each company made to each of its two audiences (in regulatory comments and Forms 10-K) about how the Standard would affect the company. There are methodological issues. Despite Coleman’s efforts to ensure data quality, the taxonomy of distinct predictions of negative and positive impacts of the rule, and the assignment of individual statements to codes within that taxonomy, must to some degree be subjective. And it is not clear that counting arguments is the best way to detect the “exaggeration, ambiguity and omission” that Coleman correctly describes as the hallmark of assertions by intelligent actors facing a two-audience problem. Moreover, affected interests in environmental regulatory disputes surely make many statements about potential rules, targeted to both regulators and investors, outside of officially submitted comments and formal 10-K disclosures. These quibbles do not denigrate the work’s contribution. By choosing a consistent and limited set of documents to compare, Coleman avoids any possible allegation of cherry-picking. Counting arguments may miss differences in tone and emphasis, but is unlikely to understate the contrast between a company’s pitches to regulators and investors. Coleman’s analysis confirms, in a systematic rather than anecdotal way, our intuition that regulated industry tells different stories to different audiences to suit different ends. His findings suggest that regulators and investors should keep saltshakers handy when hearing from an industry to be affected by a pending regulatory choice – including an industry that stands to benefit. The lesson bears demonstration, even during an Administration more likely to deregulate than to regulate. Karen Bradshaw’s Settling for Natural Resource Damages and James W. Coleman’s How Cheap Is Corporate Talk? have relatively modest goals. These papers are not burdened with grand theory or elaborate statistics. Instead, they collect and present data to describe clearly phenomena that we know exist, but that we have comprehended only vaguely. They help us see. E.g. Robert C. Ellickson, Of Coase and Cattle: Dispute Resolution Among Neighbors in Shasta County, 38 Stan. L. Rev. 623 (1986). Cite as: Steve Gold, The Real World, JOTWELL (August 18, 2017) (reviewing Karen Bradshaw, Settling for Natural Resource Damages, 40 Harv. Envtl. L. Rev. 211 (2016) and James W. Coleman, How Cheap Is Corporate Talk? Comparing Companies’ Comments on Regulations with Their Securities Disclosures, 40 Harv. Envtl. L. Rev. 48 (2016)), https://lex.jotwell.com/the-real-world/.